Back in January we found out that Netflix and Marvel were developing a potential Daredevil spinoff series titled The Punisher, focusing of course on Frank Castle, who made his debut in the recently released Daredevil season two and was played by The Walking Dead star Jon Bernthal. Today it’s been confirmed that this isn’t something that might happen anymore. It actually is happening. 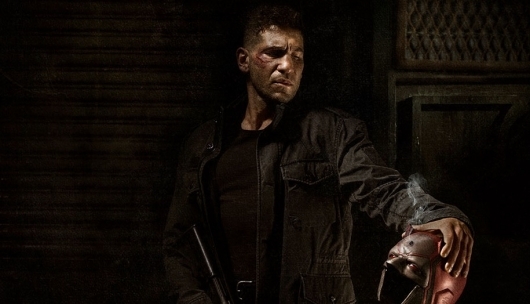 Netflix has officially ordered a full first season of the Punisher series, with Bernthal set to reprise his role as Castle. Hannibal writer and executive producer Steve Lightfoot will handle showrunner duties on The Punisher, while also writing the first two episodes and executive producing. It’s one of the ultimate comic book debates: should a hero be willing to kill the bad guys for the greater good, or simply thwart their plans as many times as necessary? Many heroes, such as Batman, adhere to a code in which they nobly refuse to kill anyone, no matter how evil. And yet some villains, such as Joker (going back to Batman), have killed numerous innocent people, and continue to do so after escaping the capture of our so very noble hero again and again and again. Should the Dark Knight make an exception in this case, or should he stay true? There will never be a right answer; it will always be disputed. A new featurette titled “Daredevil & Punisher” has been released examining the two characters, with insight from the actors behind the characters, Charlie Cox and Jon Bernthal. You can check out the video below. The release of Daredevil season 2 is upon us, and with just only a few more days left before all 13 episodes are released to us for our binge-watching pleasure, Netflix has released one final trailer to remind us that it is coming. We’ve seen a couple of trailers, one that focuses on The Punisher (Jon Bernthal), and another focusing on Elektra (Elodie Yung). 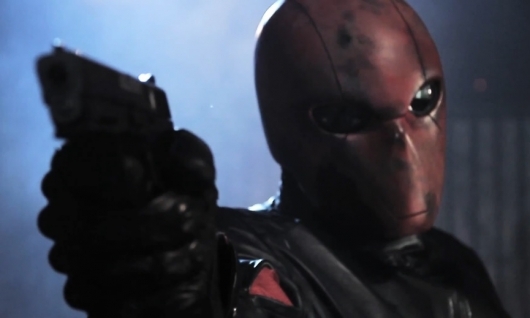 But this newly released one centers on the different styles of action we will see from the title hero, his former lover, and the man who is seeking vengeance. Plus, there are a couple of ninjas who will get in their way. And who doesn’t love a good fight against an overwhelming number of ninjas? 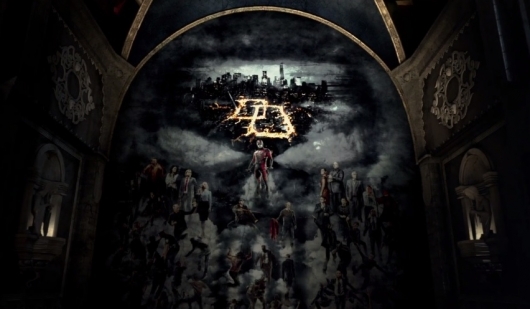 Check out the final trailer for Daredevil below. Towards the end of that trailer, we were teased with the appearance of Elektra (Elodie Yung), who greets our hero from the shadows of his apartment. Now a newly released trailer reveals why she has stopped by Hell’s Kitchen, and it isn’t to exchange pleasantries. Check it out below. 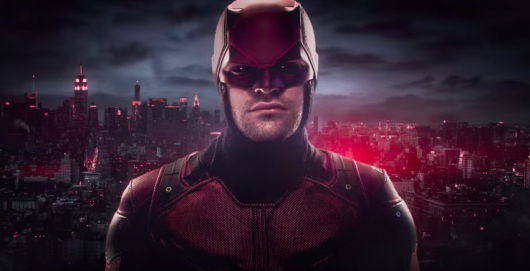 If you were too busy watching football or doing other things that kept you away from the internet this weekend, some potentially exciting news for fans of Daredevil, Netflix’s series based on the Marvel comic book character of the same name, and a certain character set to debut in season two of the series was making the rounds. According to the report, Netflix is developing a standalone series focusing mainly on the character Frank Castle, better known as Punisher, who is set to be played by The Walking Dead star Jon Bernthal. 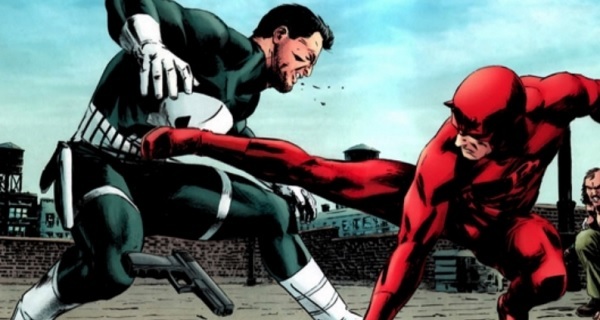 The series would be a Daredevil spinoff, and would be simply titled The Punisher. Netflix has released a new trailer for season two of their hit series based on the Marvel comic of the same name, Daredevil. 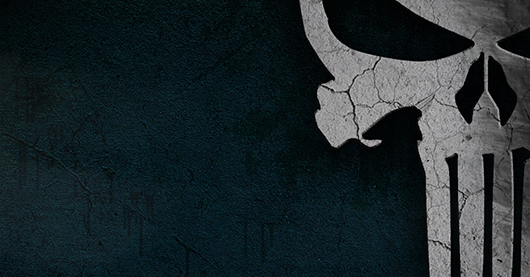 The trailer is only a teaser, mostly consisting of voice over and art work covering the events of the first season of the show, but it also includes a little Punisher tease and the date the new season will become available to stream so that you can circle it on your calendars. A new poster for the second season has also been released. Click on over to the other side for more about Daredevil, and to check out the teaser trailer, poster, and premiere date. 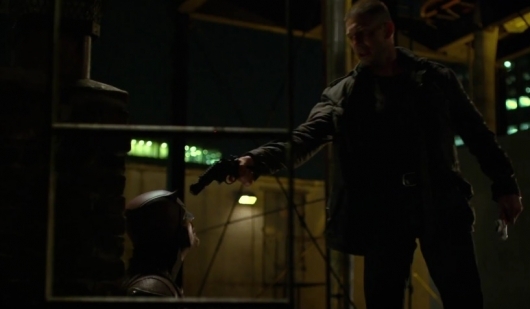 Tom Hardy Wants To Be Punisher; Should Marvel Do It? Mad Max: Fury Road star Tom Hardy has already played a comic book character before, portraying the Batman supervillain Bane in The Dark Knight Rises, and he was set to play another in Rick Flag for Warner Brothers’ DC Comics villain movie Suicide Squad before having to exit due to delays on Alejandro González Iñárritu’s The Revenant (eventually replaced by Joel Kinnaman) but there’s another comic character that he’s interested in taking on. Talking to Collider recently Hardy shared that he would like to play Frank Castle, better known as the Punisher. The Marvel character has had three movies made based on him over the years—one in 1989 starring Dolph Lundgren as the vigilante antihero, another in 2004 starring Thomas Jane, and finally one in 2008 starring Ray Stevenson. So would Marvel be willing to give it another go with Hardy as the title character, and if so, is that something you fans of the character would be excited for or is there someone else you’d rather see cast? Continue below to see what Hardy had to say and to share your thoughts.